Campsis radicans (perennial, zones 4 through 9) also known as trumpet vine or trumpet creeper is a great North American native plant for attracting hummingbirds and butterflies to your garden. They just can’t resist the red, tubular blooms! It will bloom continuously through the summer, but it needs full sun to do so, at least 6 hours. I suspect that your plants are not getting enough light. I suggest you transplant it to a sunnier location. Do this in early spring before it starts to grow. If it is a large plant, cut it back to a manageable size, leaving some of the leafy vines intact. Dig it out, maintaining as much soil around the roots as possible and plant in its new location immediately. Keep it consistently watered through the growing season and it should rebound quite nicely. Trumpet vine is a rapid grower that will quickly cover an unsightly fence or screen an unwanted view. This plant loves the heat, is highly drought tolerant and resists pests and disease. With all these merits it is wonder why many gardeners cringe when trumpet creeper comes up in conversation. I’ve never known a plant to be so loved and reviled at the same time. The problem is that trumpet creeper can be invasive. 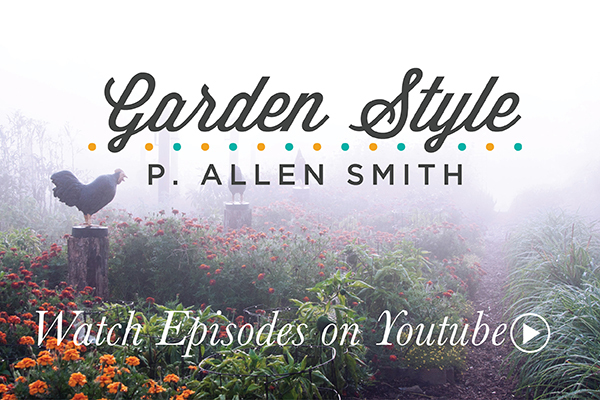 Given the right conditions it can overwhelm your and your neighbor’s garden in just a few seasons. Here are a few tips for keeping this rampant spreader under control. 1. Location, location location! Select a site that is away from your house, special trees and other elements you don’t want swallowed up by this plant. Treat this plant like a specimen rather than a companion to your other plants. Also, the flowers and seed pods can be messy so avoid using this as a cover for pergolas or outdoor entertaining areas. 2. Try planting the vine in a large, plastic pot with the bottom cut out. Plant the pot and vine in the garden. This is a trick I use with another flowerbed invader, mint. This planting method keeps the roots in check, preventing it from spreading by underground runners. 3. Remove the faded flowers and seed pods to prevent wildlife from spreading the seeds. This will also promote bushier growth. 4. To control the size of the plant, prune it hard in late winter. 5. As with any invasive plant, check with your local cooperative extension before planting trumpet vine. While it is just a garden thug in some regions, it can be a serious problem in others. With diligence and proper placement, trumpet creeper can be a divine addition to a garden. On a trip to the Biltmore I was delighted to see it used along with wisteria as a cover for the Library Terrace. The leafy canopy created by the two plants offered a shady spot to rest and take in the all the beautiful sights! Other trumpet vines to try are ‘Flava’, which produces yellow flowers or ‘Madame Galen’, which has extra-large red-orange blossoms.